April | 2014 | The Glyn Watkins Show Page. Includes: Beer, pubs and pies – part of our ethnic heritage. Ken Branagh bought my book! 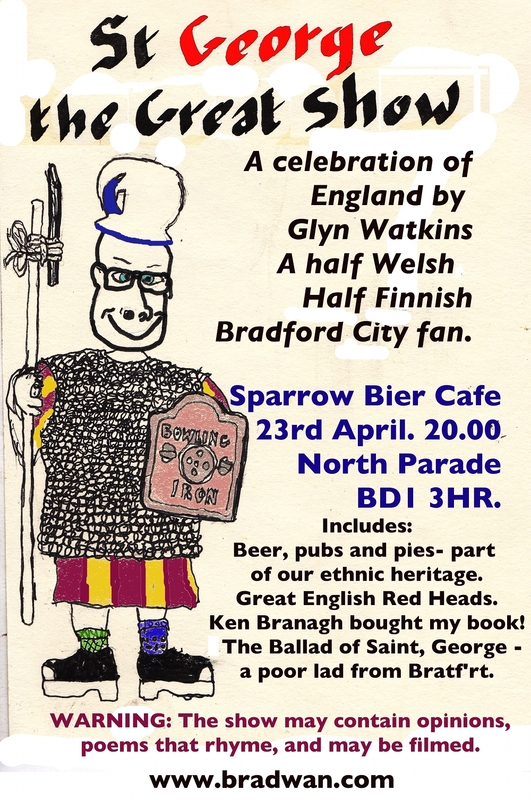 The ballad of Saint, George – a poor lad from Bratf’rt. WARNING: The show may contain opinions, poems that rhyme, and may be filmed.